Andrew Smith, Senior Vice President and Publisher of Abrams Children’s Books and Abrams ComicArts has acquired a YA novel Giant Days which will be written by British author Non Pratt. Smith negotiated a deal for World Rights with Filip Sablik, President of Publishing and Marketing at BOOM! Studios. Giant Days will be based on the hit graphic novel series of the same name, which was created and written by John Allison, alongside artists Lissa Treiman and Max Sarin, from BOOM! Studios, also the publisher behind Lumberjanes. Since it launched in 2015, Giant Days has been nominated for two Eisner Awards and four Harvey Awards. 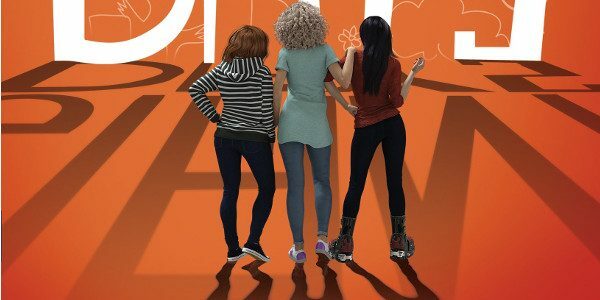 The YA novel Giant Days follows the hilarious and heartfelt misadventures of three university first-years: Daisy, the innocent home-schooled girl; Susan, the sardonic wit and Esther, the vivacious drama queen. Publication is slated for Autumn 2018 on the Abrams Books for Young Readers list.